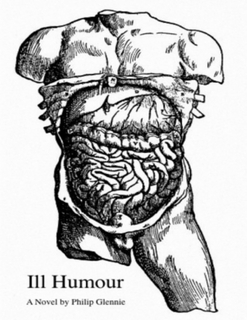 It took a while, but I've finally gotten around to publishing my medical/history mystery "Ill Humour" in ebook format. If you just can't get enough wry humour, mystery plots, medical history, and romance, this is the book for you. Think Stephen King meets Dr. House. In any case, the book is only $3.99, and I'm sure it would go lovely with your next latte (which costs the same). It will be available shortly through online retailers, but can be had right now in epub format at the following link. Spanning over fifty years, Ill Humour follows Dr. Anna Mercer as she struggles to treat a patient named Adam Renfrew, whose sickness makes no sense within the terms of modern medical knowledge. But a chance encounter brings Anna into the company of Donald Firkin, a divorced English professor who soon discovers that Anna’s patient makes all too much sense, just not according to modern science. Through a series of manipulations, Firkin convinces Anna that her patient’s internal organs have travelled backward through medical history, taking on the properties of the “four humours” of medieval science. What ensues is a sometimes wry, sometimes passionate story of blackmail, family, and romance. And time-travelling organs. 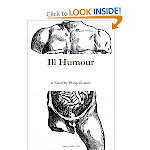 Second Excerpt from "Ill Humour"
Excerpt from Forthcoming Novel: "Ill Humour"